Where I drop my jewelry when I come home from work, by window light. Heh! 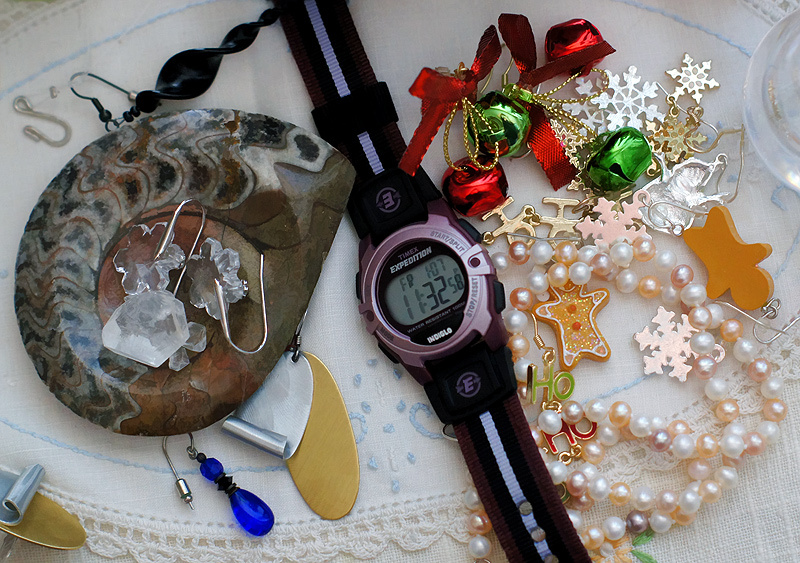 Time to put away the Christmas jewelry! Beautifully clear shot with wonderful colors. Should be in a catalogue. Proudly hosted by Sargasso Networks. Current Server Time: 04/18/2019 08:36:55 AM EDT.